Are you using Thunderbird, Eudora, or other email client? If yes then, it is sure that you have stored emails into MBOX file format and these emails are only accessible into the email client that supports MBOX file format. Long time usage of email client that is compatible to read out MBOX emails may pull you in the need to extract MBOX emails into any other file format because, it is seen that most of the email applications are limited to help you out for emailing only. To extend the arena of emailing and collaboration, MBOX to PST conversion is really helpful. MBOX to Outlook Converter of our organization has multiple benefits to convert MBOX to PST file format. Different Scenarios – Why MBOX to Outlook Conversion? 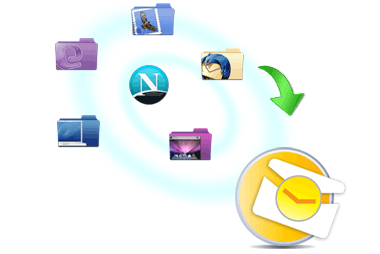 Before converting MBOX to Outlook PST via usage of our brilliant external application, you should get an idea that why MBOX users want to shift MBOX emails into PST format. If you are using an email client that support MBOX files but, the limitation to work within a specific network is also the limitation then, you may come across to the situation where you have to convert MBOX to Outlook. Leaving an organization that works with Thunderbird may be the reason due to which you will have to shift MBOX email data into PST format as new firm is running on Outlook. No matter due to which reason you are going to change MBOX to Outlook PST because, our email conversion tool has integration of best methods for fast conversion from MBOX files to PST format. If you want to extract multiple emails from several MBOX files to PST then, you can merge number of MBOX files together before performing transition. In this way, we can say that process to shift MBOX emails into PST format is really easy with our potential application.